The entrance to the Forteresse de Largoët is to be found up a long, winding single-track road. 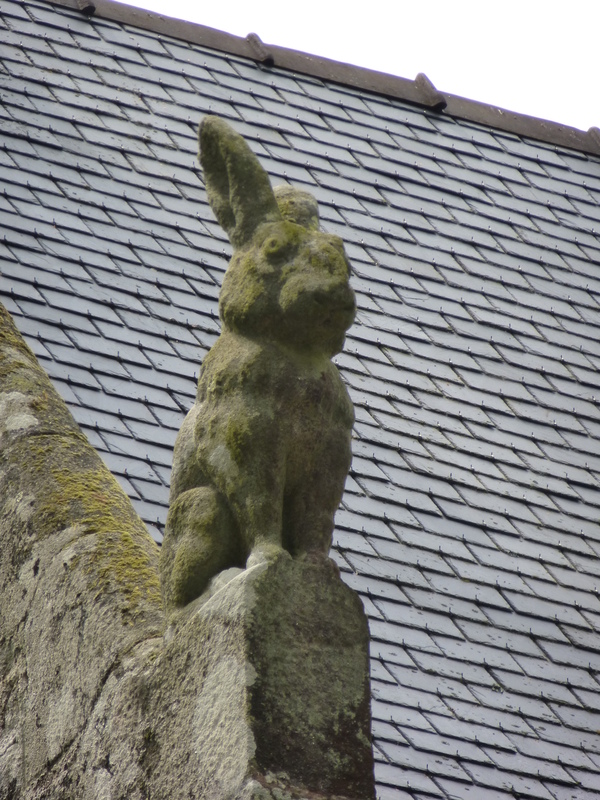 At the end of this road stands a large gateway, a little house next to it decorated with carved rabbits. On the day that I visited the imposing gates were firmly closed. 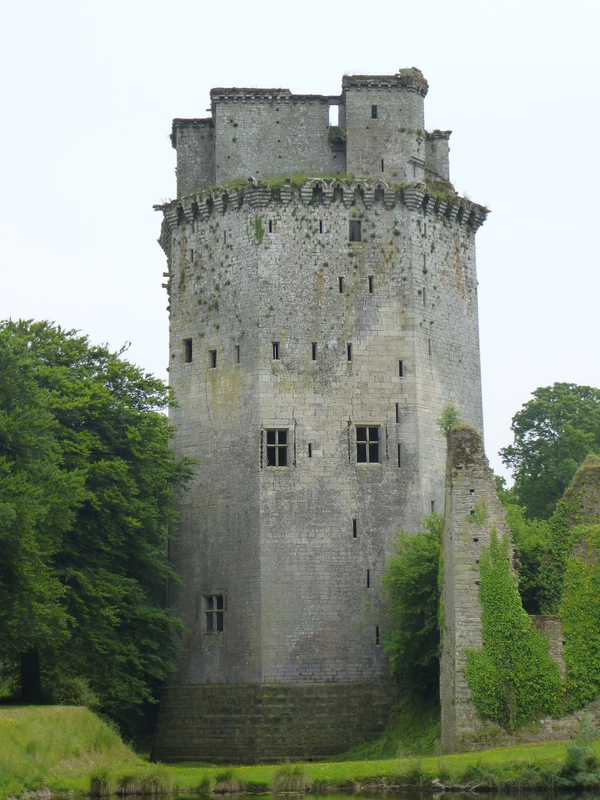 Luckily I spotted the small sign telling me that the castle was in fact ‘ouvert’, and when I rang the adjacent bell a man emerged from the shadowy doorway of the ‘rabbit’ house to sell me a ticket and let me in. 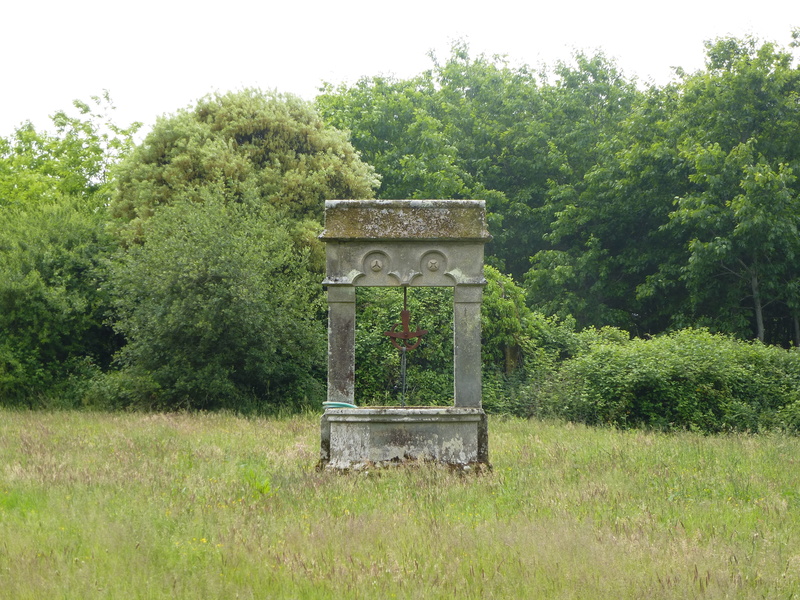 Next comes a long walk, past a beautifully dilapidated wellhead and along a wooded track. By the time you reach the ruins, you really will feel as if you are in the middle of nowhere. 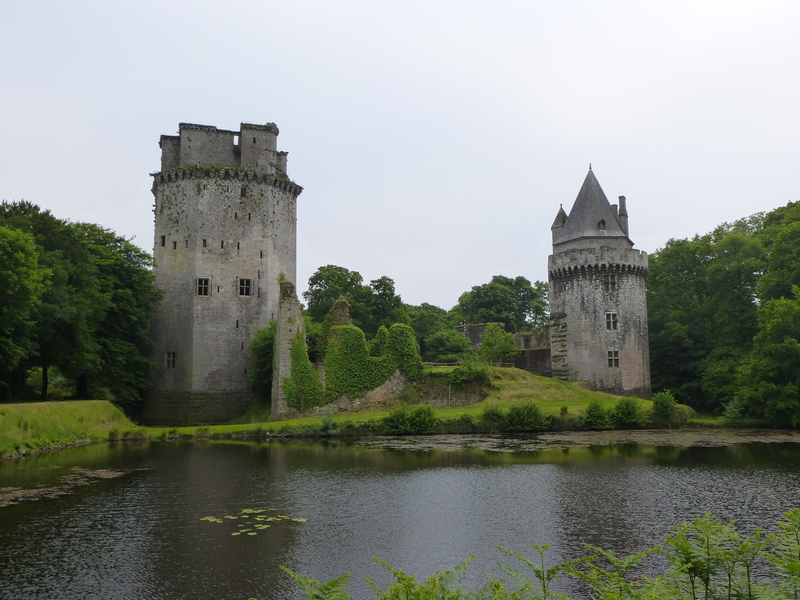 As a result, the huge scale of the castle’s towers comes as a shock as they emerge above the treetops – the main ‘donjon’ is immense, said to be the tallest in France. A strange air of quiet surrounds the fortress. The atmosphere is disconcerting, rather sad, heavy with neglect and decay. As with many historic sites in this part of the world, the Forteresse de Largoët doesn’t get many visitors, its sense of abandoned isolation only adding to its magical aura. 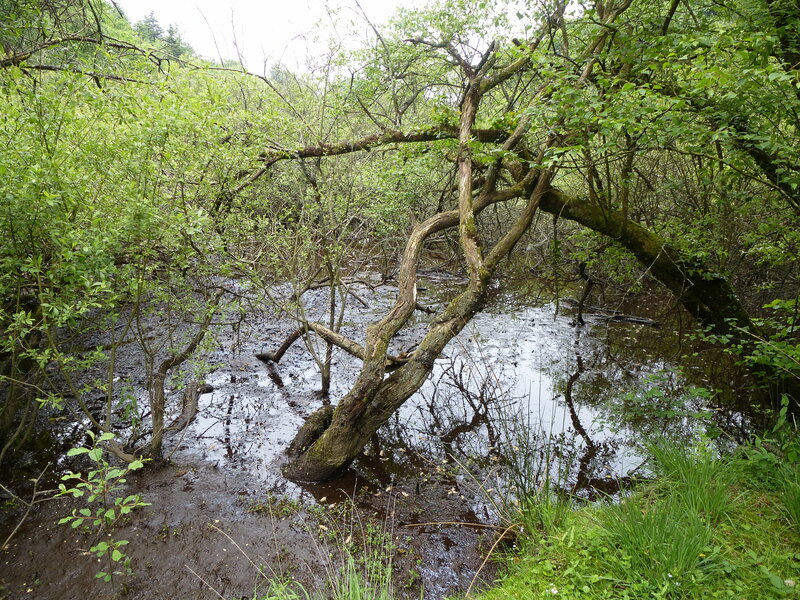 The lake which sits next to the ruins is odd, spooky even, with the bare branches of dead trees emerging from the dark water of its far shore. 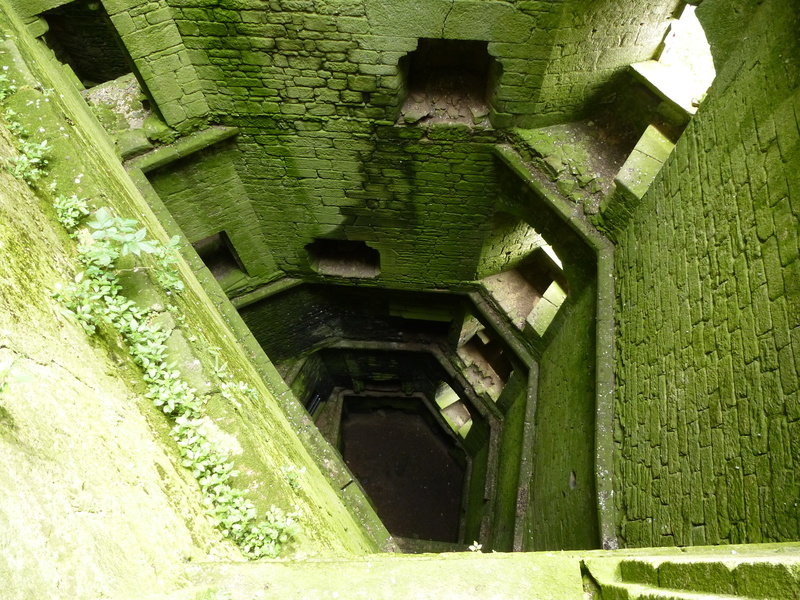 The castle’s donjon is now floorless, its damp interior thick with moss and lichen, but a spiral staircase inside one of the thick walls leads up, past many empty doorways, almost to the top of the crumbling tower. The views from up there are incredible, but definitely not for those who suffer from a fear of heights. It’s only at the top of the stairs that you can really get a sense of the size of this place; in its heyday it must have been a Gormenghast-style warren of rooms, ante-rooms and corridors. Perhaps not surprisingly, there is a legend that a secret corridor links the castle with the nearby town of Elven, although the location of the tunnel’s entrance is now long-forgotten. In the 1470s, the castle’s most famous resident Henry Tudor, later Henry VII of England, was held as a prisoner here by Jean IV, Lord of Rieux for two long years. Once back on the ground, it is worth taking a look at the exterior of the tower, with its intricately carved machicolations and elaborate window frames. The walls look rather unstable nowadays, scarred with a delicate network of cracks and crevices. Although the castle, which also goes by the rather Tolkienesque name of ‘les Tours d’Elven’, was probably first constructed some time in the 11th Century, this keep dates from the 1300s. The impressive gatehouse and adjacent round tower, which has been more recently re-roofed and restored, were built about a century later. After my visit to the castle I decided to explore further and take a walk around the lake, through the pretty woodland which surrounds it. 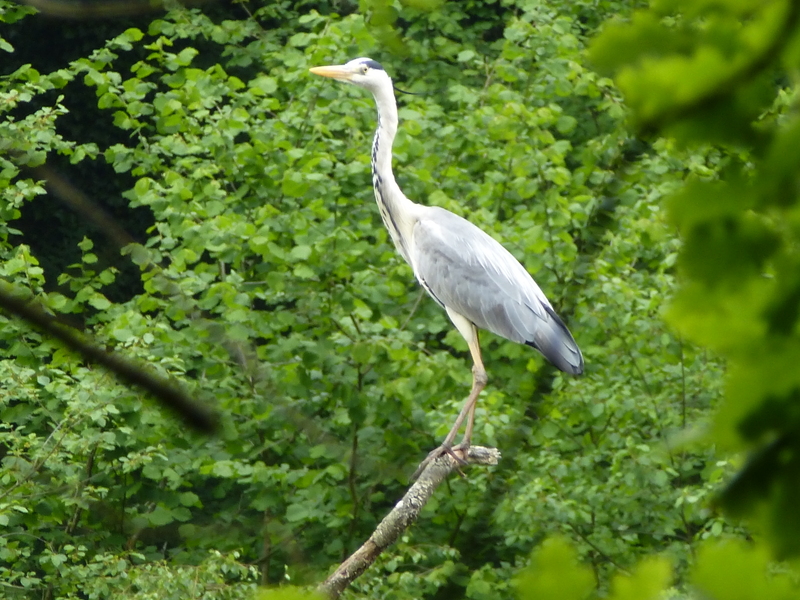 I spotted an elegant heron sitting on one of the tree branches which jut out from the water; stock still and quiet as I approached, it suddenly took off into the air as I walked away. Its wide wings flapping gracefully as it took to the sky, the heron finally broke the silence of the place with a single harsh craw as is disappeared over the treetops. 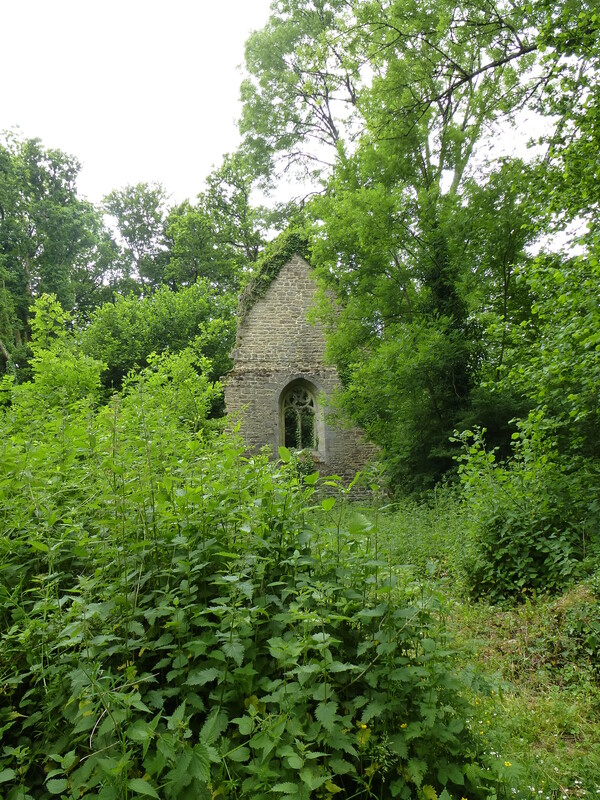 As a suitably magical end to my visit, I stumbled across the ruins of the castle’s chapel, now choked with bushes and grass, its foundations hidden beneath the undergrowth. Only one gable end remains standing to any significant height, its wall pierced with the elaborate tracery of a gothic window.